I was lucky yesterday to meet up with an old friend at Newlands Junior College – a unique, vocational provision for 14-16 year olds, housed in a former factory in Newlands in the south side of Glasgow. It is an independent provision, funded, in the main by industrial entrepreneur, Jim McColl and exists to provide young people who have struggled to engage in the mainstream system with an opportunity to learn through an intensive support programme involving academic, vocational and personal development. I’d known about the existence of Newlands for a while, and I was really pleased to find out about what was going on first hand. A few things struck me about Newlands. There was a very relaxed atmosphere in the building and a big emphasis on student responsibility for learning. The starting point for the timetable is staff availability. The subjects taught are English, mathematics, science and ICT. PSE runs through the curriculum and features strongly. The timetable shows when the relevant staff are available and students decide which subjects they attend. This allows them to focus on priorities as they arise (folio pieces, for example) and manage their own programmes. Each student also has a vocational placement and supplementary training or qualifications are provided in partnership with a range of businesses, training organisations or City of Glasgow FE college. It is an entirely unique arrangement in many ways, but is clearly responding to a significant need that the mainstream system cannot meet. The relaxed atmosphere is balanced by an ethic of professionalism. Students wear uniform and staff dress smartly. Some teaching spaces are open plan. All the offices, including meeting rooms and the principal’s office have transparent walls so that all working processes are visible to students and visitors. Students can choose how they address staff, using first name terms or standard titles, which some still choose to use. De-institutionalising can be difficult for young people. Classroom walls are written on and used very effectively as whiteboard spaces – this too can challenge some. There is no behaviour policy – there is no need for one. A few agreed rules – no shouting; no sarcasm, no greetin’ !, no excuses – and a clear focus on relationships do a much, much better job. Personally, I’m more and more persuaded that there is never a need for a behaviour policy, but that’s for a different discussion. There is no doubt that this is a very important, exciting and successful innovation. There are big questions though, around sustainability and replicability. Neither of these have a straightforward answer. Part of its uniqueness and success has to be down to the qualities and experiences of the staff who have been selected to teach there, and from what I saw yesterday, they are a uniquely impressive group. Also the unique nature of the circumstances – a focus on work and industry, funded by an industrialist, in a post-industrial city, obviously gives rise to certain opportunities specific to the location of the college. And the funding itself – this raises questions of both replicability and sustainability. I know that some significant work is going on in this regard to expand or extend the concept of Newlands, and I really hope that it meets with success. Many, many young people deserve a chance like this. This is GIRFEC in action, and although it’s very difficult to replicate, there is a lot that can be learned. So who was my old friend? Well, this was a personal highlight for me. I met up again with a student friend from teacher-training days at Jordanhill, Graham Robertson. Graham is now head of guidance, careers and business links at Newlands Junior College and we haven’t seen each other since Jordanhill. A chance meeting at the SELMAS forum allowed us to get back in touch and it was great to hear that he’s still in education, and about how his career developed over the years. We were in an elective class together for PSE which was taught by the one and only John MacBeath. Things we both learned there have stayed with us over all those years, and influenced us both in our thinking about socialisation and relationships in education. How lucky we were to take that class -it was definitely the highlight of my postgraduate course. Looking back, though, I don’t think we realised at the time quite what a privilege it was. Great to see you Graham, thank you so much for my visit, and I’m hoping we can develop useful links for our students and yours, in times to come. Gillies, D., 2016. Visiting good company: Arendt and the development of the reflective practitioner. Journal of educational administration and history, 48(2), pp.148-159. This paper offers a critique of the notion of ‘reflective practice’ in the context of initial and early-stage teacher education. Reflective practice is a term which is frequently used throughout the career of a teacher; it is a practice which is encouraged in teacher education programmes on campus and in school experience. It is also a requirement of students and serving teachers if they are to meet the standards for registration, as stipulated by the General Teaching Council of Scotland (GTCS). They are exhorted to: ‘reflect and engage in self-evaluation using the relevant professional standard’ (GTCS 2012a), and for the standard of Career-Long Professional Learning, to ‘develop skills of rigorous and critical self-evaluation, reflection and enquiry’ (GTCS2012b). In spite of this central focus on reflection, aspects of teacher development and practice may leave some students and serving teachers feeling that there is insufficient discussion in their instructional and practical experience of what reflective practice is or how it might be achieved. Neither do systems and cultures best support reflection in context: the current emphasis on the evidence-based, best practice or ‘what works’ agenda supports the technical-rational–instrumentalist emphasis on craft, skills, and a cause and effect approach to practice, which leaves little room for consideration of wider aspects of pedagogical approaches. Gillies (2016) draws on Arendt’s theory of enlarged thought –a theoretical concept with considerable philosophical pedigree, as it relays back to Kant and Aristole – to offer a conceptual framework which supports a progressive development of reflective practice, especially with regard to early-stage teachers and student teachers. This, to me, seems to be an extremely helpful mechanism in teaching and learning about the practice of reflection, developing experience in the consideration of alternative perspectives (‘visiting,’ loosely, in Arendt’s terms), and coming to judgement, as a key component of reflection, of the value and merits of the perspectives under consideration. Engaging with these perspectives, in Gillies’ and Arendt’s terms, is the ‘company’ we keep; however, there are caveats. Keeping company of only known perspectives might limit our reflections and leave us in an echo-chamber, where our own biases and beliefs are confirmed and justified. That might be a comfortable environment for some, but for others this is an opportunity for challenging, professional conversations and debate; for contesting accepted beliefs and for ‘enlarging our thoughts,’ in Arendt’s terms. Here is Gilles’ framework for reflection, based on the ‘visiting’ metaphor, offered by Hannah Arendt (Gillies, 2016, p157). I’d urge you to read the article if you have, like me, wrestled with the disconnect between expectations and support for the development of reflective practice in the early stages of learning about teaching. P.S. 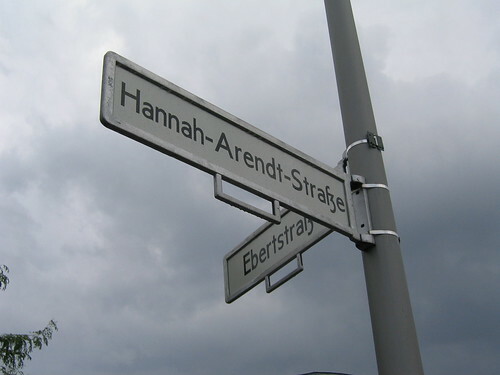 Hannah Arendt was a political theorist known perhaps most widely for her analysis of the origins of totalitarianism. This Open Culture link provides useful insights to her thinking via an interview and further links. GTCS. 2012a. Standards for Registration. Edinburgh: GTCS. GTCS. 2012b. Standard for Career-Long Professional Learning. Edinburgh: GTCS. I am on a bit of a PhD roll at the moment. I’ve been working on methodology, trying to structure a chapter and write a little bit every day. A lot of the writing involves re-writing, so sometimes it feels like it doesn’t amount to very much, but I’m trying to stick to a little each day – even if it’ s only 500 or 700 words. Things got a lot more exciting on Friday, with a superb, workshop facilitated by Pat Thomson. If you’re reading this blog, then you probably already know about her, but if you don’t, and you are involved in any kind of advanced study, then check her out – her advice is invaluable. Then there was the Dewey conference at my place of work, with keynotes by Richard Pring and Walter Humes; both insightful and inspirational. Today I’m interviewing participants – I’m terrified I don’t ask the right questions, or get useful data, or waste their time. Next week I’m going to Warwick University’s Centre for Social Ontology for a workshop with none other than Margaret Archer, then another UWS conference – this time on Foucault. So for the first time in a long time, I feel if not fully immersed in my study, then I’m definitely having a thoroughly good splash around. Most ideas circulating around here are going to be directly relevant for me; some are not ( I have no intention of using Foucauldian concepts, for example), but the opportunity for sustained thinking and engagement with scholarly concepts and content has been a joy, and I need to make the most of it. Here’s a short extract on what I’ve been writing about my methodology. The methodological intention for this study is case study methodology. This methodology lends itself to small-scale research, and it provides the scope for a deep understanding of complex phenomena within their context (Baxter and Jack; 2008). According to Stake, case study methodology applies a focus on that which is specific, unique and bounded (Stake, 2005).Yin offers a typology of case studies using various categories: single or multiple, descriptive or exploratory (Yin, 2014:11). As this study is considering the case of teacher collaborative working practices in different settings, this would be defined in Yin’s terms as a multiple exploratory case study. Collaborative events taking place within individual structures such as a school, with their inherent and individual cultural conditions lend themselves to this methodology, as it allows a detailed examination of a contemporary phenomenon (Yin 2014) as it takes place across a range of research sites. Flyvbjerg argued a coherent defence of case study methodology, outlining five common misunderstandings of this methodology, identifying these as: the lack of generalisability of the case-study; the perceived predisposition towards verification of researcher bias in this methodology and the perceived inherent difficulty of summarizing and developing general propositions and theories in case study (Flyvbjerg 2006). Similar to Baxter and Jack (2008); Yin (2014) and Stake (2005,) Flyvbjerg (2006) celebrates the value of the case study in terms of richness, depth of detail and proximity to real-life situations description which it can help achieve. He draws on Wittgenstein and Goffman to illustrate how when properly conducted, the case study can provide the necessary examples of context-dependent social phenomena in all their messy complexity, as the researcher seeks to go beyond ‘what is available to public scrutiny’ (Flyvbjerg, 2005:24) and explore what is less immediately visible within them; their underlying aspects. Thus, this case study seeks to examine in close detail examples of collaborative practices of teachers; going beyond what is visible and exploring their underlying mechanisms, the hidden aspects of the processes involved in context-dependent situations. The boundaries of the case in question need some definition. As previously discussed, the phenomenon under scrutiny in this case is a practice. My intention was to undertake research in two schools involved in this practice. As discussed, LR are a form of professional learning communities (PLCs) for teachers, sometimes referred to as teacher learning communities (TLCs); Because of difficulties experienced which have been explained, this plan needed to change to include a wider interpretation of collaborative working practices. Thus the boundaries of this case had changed from that of a discreet identifiable practice, which was named and programmed to occur at specific times within the school routine, to the broader, more generic collaborative working practices undertaken in teacher learning communities. New boundaries were established. Little (2003) studied interactions inside teacher communities and established a set of parameters within which the wider interpretation of collaborative practices were located. These included: out of classroom interactions; teacher development in everyday work, and the intellectual, social and material resources that teachers supplied each other with through interaction. These concepts are helpful in identifying boundaries for this case study. Out of classroom interactions can be formal (at planned and organised events or meetings, in school or out of school, for example), or informal (chance exchanges in the staffroom or corridor). The resources that teachers supply each other with can be intellectual (a comment, question or reflection verbally developed through conversation) or material, involving a product such as a book, artefact or report. Teacher development in everyday work would involve articulating observations and reflections on aspects of practice. Thus, the case has boundaries which include planned meetings and discussions; documents, including archives from previous collaborative work, policy documents, reports and teachers’ reflections on practice. Baxter, P. and S. Jack (2008). “Qualitative case study methodology: Study design and implementation for novice researchers.” The qualitative report 13(4): 544-559. Flyvbjerg, B. (2006). “Five misunderstandings about case-study research.” Qualitative Inquiry 12(2): 219-245. Little, J., (2003). Inside teacher community: Representations of classroom practice. The Teachers College Record, 105(6), pp.913-945. Stake, R.E. (1995). The art of case study research. Sage. Yin, R.K. (2013). Case study research: Design and methods. Sage publications. Professor Stephen Ball hung his head in despair at the end of his answer to the final question after his Robert Owen Centre lecture on Tuesday night (23/02/2016). I don’t really think anyone was all that surprised. His talk, which explored lessons from around the world on the use and abuse of assessment as policy, set an agenda of concerns which had been carefully chosen for his Scottish audience.These concerns related to the question of how far crude data garnered from assessment practice is accepted as a major policy driver, and whether or not this is a dangerous thing. Stephen Ball did not make any claims to be telling us anything new. It seemed that instead he was confirming Scotland’s place at the neo-liberal education reformers’ table, but no-one was really in the mood for celebrating. He showed us the different ways we’d got there. Firstly, we have bought into what Pasi Sahlberg calls the GERM agenda; he shared different examples of education reforms underpinned by assessment and showed the commonality across these systems; now in the company of our very own latest policy offering – the new National Improvement Framework . Economic performance and competitiveness are at the heart of all these reforms – the neo-liberal agenda – where educational data are harnessed for international comparison. Again, no secrets here as the NIF was offered as a means of response to The OECD report on Scottish education (For more analysis of the NIF see Professor Mark Priestley’s blog).The arguments and research on neo-liberalism and education are plentiful, well documented and well rehearsed – see links on Mark’s blog. Secondly, in common with other recent education system reforms The NIF exemplifies what Ball identifies as the policy ratchet; there are no more grand gestures in education reform, just a constant stream of small manoeuvres. We can see this happening here. We have had a number of small reforms relating to assessment ( NIF, New National level tests; new Highers) but also to curriculum ( early years education; 1+2 languages, for example) and to teachers’ professionalism and practices (Teaching Scotland’s Future; professional update); important questions are -how do they all relate to each other over time and whose agenda are they responding to? Small reforms don’t announce themselves as loudly as big reforms, however. And therefore they might not invite so many questions as big reforms. The NIF is presented to us as a response to closing the attainment gap. There are implications of causality in this, i.e. claims are made about causal relationships embedded in these reforms; the causal assertion being that lowering the attainment gap will equalise opportunities. Schools, however, as well all know only account for a very small proportion of the improvement effect – 11-15% according to Stephen Ball, the rest is explained by non school factors, but the elements in this complex relationship cannot be isolated from each other; to do so is to over-simplify the problem. Conveniently, though, if attention is shifted from general inequalities to the role of schools, this depoliticises the poverty problem, according to Ball, recasting inequality as more of an educational failure than a political problem. The solutions are presented as technical, not social or political and simple, not complex and are identified as the responsibilities of schools. And if it does’t work? Well, we all know who gets the blame, and further reforms can be justified. management by data through targets and reporting – performance management. Rewarding schools/teachers for good performance – exacerbating the problem. Ironically, there is a strong case for negative causality here: with a focus increasingly on positive high achievement, most of these features serve to widen the attainment gap, not narrow it. The example from EEF narrows our thinking about this -data can be dangerous too. It’s been a while since my last post – embarrassingly long. Full time work and a hefty commute have eaten up any available time I had to do this, but in trying to sort out my notes from some recent conferences, I took the plunge and got back on the blog-wagon. This might be interesting if you are working with either ethnographic approaches or marginalised/marginalising groups. It was a cracking day for me -organised by Professor Ross Deuchar and very inspiring – lovely people and great discussions. This symposium gave me an opportunity to find out more about ethnographic methodologies and about a research project that had take place in the SoE. The following scholars gave accounts of their chapter in a recently co-authored book of the same title. Marginalised and silenced voices were surfaced. Extremist groups also considered within this definition as they are ones who marginalise and we need to understand what they do and how the operate as well. Kalwant Bhophal raised pertinent methodological questions: no matter who we are we affect the groups we research (her area of research interest is travellers and Roma communities). How have we used the respondents? have we unconsciously exploited them? How do we affect the communities? Our subjectivity always affects our research. Research should always make a difference even if it’s small. Ethics – compromises are sometimes necessary. Discourse is often nebulous. Needs to be more transparent – we have diverse duties in ethics: to respondents, university, discipline. ACCESS- this can be problematic: rapport and trust are key. I co-authored a paper on methodological difficulties of access and participation with colleague Nighet Nasim Riaz, which is under review. Openness and recognition of the right time to stop when dealing with students are essential! Member checking – giving transcripts back to respondents to check is an important part of trust building process – before data is analysed or used. This is important especially with marginalised groups. Reflexivity and positionality – power is dynamic, not static: it will change throughout the research process. Gavin researches extremism in a community context; he is interested in the ones who do the marginalising – the extremist groups within working class communities. His big question was – are hard to reach groups really hard to reach or are the just hard to hear? What happens if the residents association in a community happens to be run by BNP ACTIVISTS? Where does that leave the researcher? How might trust be understood by other oppositional participants? Extremism and how it is conceptualised in research: community as a key analytical object. Stereotypes are dominant representations of these extremist groups- see Jeremy Paxman interview Nick Griffin: the way demonstrations are represented in media is always as confrontational. Being on Paxman – this is not being marginalised , this is mainstream media- doing the marginalising. The doer of the marginalising and the subject of the marginalising- needs to be broken down a bit. GB’s study avoided the public representation of the extremist groups as portrayed in media and focused on what they do in their day jobs; the extremist groups are the unit of analysis . Beware the focus on the spectacular groups- counter terrorists focusing on different groups who actually do violence: are they unreformable? Is that why they are ignored? Activists have chosen to become activists – lots haven’t, but are still in the dynamic geographies of danger of otherness. In this paradigm the research starts with these places. But often activists drive into performing activism and drive away assumptions that are being recreated – seek and you will find. Stigmatising communities: some objects become indicators of extremism- we know what it looks like and where to find it – so they think anti fascist or anti racist- what was the question again? Is it part of this older debate of extremes? Where is the concern with white middle class attitudes and actions, exemplified so ably by certain print media? Why is this mainstream and not seen as extremism? You know which papers I mean!! Try the implicit association test – see link. This I found really challenging. Tiago completely overturned my assumptions about researching people and asked lots of awkward questions like – are these extremist groups really hard to reach? They are easy to reach compared to bankers, about whom very little research is done! Ethnographic work – is it non intrusive or the most intrusive? You study people – that’s ugly! To put them under the microscope , intrude in their lives is disturbing. We go into places we don’t know much about and try to make sense of what they do. Maybe we should make sense of out own lives?! Intrusion can cause deception – the definition of impression management, which we need to do in research is ‘the work of successfully staging a character’ (see Goffman). In ethnography we intentionally create a character in order to pry into people’s lives- that’s the ugly bit of ethnography: it can blur the divide between a social encounter and a sociologically useful encounter. The naturalism of the ethnographer is an artificiality. What is reciprocity ? – an illusion? Who reaps the benefits of our research, or should we base this relationship on something else? Tiago sees this as a relational quandary. There are different motivations to do research: What can we do? – get real – no person is perfect so no researcher is either. Get real – there will always be betrayal, hands will get dirty. Get ample – write about all our experiences, keep the detail as context sensitive accounts of ethical matters as they pose themselves in the field. Positionality, symbolic violence and critical ethnography. Foucauldian influences. Experienced uneasiness- chapter draws on critical moments reflecting this in two research projects. Foucault – power and knowledge are mutually constitutive. Fieldwork has an inherently political nature – symbolic violence is inherent in fieldwork? Every time we engage – esp with marginalised groups – we exercise symbolic violence. See chapter on symbolic violence. This author gave a worrying account of some researchers’ interview data with Roma groups in Italy. Their responses were counter-indicative to the researchers’ expectations, and the manipulation, constant rephrasing, rewording, reiterating on the part of the researchers was blatantly driving at a pre-determined conclusion which the participants were making it very difficult for them to arrive at it. A lesson in interviewing. This was the least helpful presentation for me – it was lacking a bit of coherence, although it was on an interesting question of giving a face to those we study. Should we be protecting identity or giving a voice? What are the barriers to making visible those who are invisible, and how seriously do we take this ethical question – does protecting identity deny voice and agency to some respondents? Institutional control of knowledge/ legalistic nature of IRB/ conflicting ideas of informed consent: these are represented differently in north south divide between USA and South America. As an illustration of this in reviewing ethics guidelines, the US took 130 pages to explain their guidelines compared to 13 pages for Costa Rica and they were mostly concerned with science. Am I more or less ethical after this? This symposium has extended my knowledge and interest in ethnographic approaches, and certainly raised some very probing ethical questions . My area of research interest is teacher professional learning. I’m not sure how easy or relevant ethnographic approaches are to this subject area, but the ethical questions raised here are valid for any methodology involving people. SERA joined forces with the College Development Network and Scotland’s colleges to take part in the Emporium of Dangerous Ideas (#DangerousEd) – an annual ideas-fest full of interesting and creative change-orientated dangerous ideas, conversations and gatherings by and for educators across all sectors and agencies. This event was a sell out and was hosted at Scotland’s Colleges HQ in Stirling – a fine venue with easy parking, nice welcome and great lunch! The network is one of several facilitated by SERA and has been on the go since 2014. Today’s event was called Research as if Education Mattered. And Education as if Research Mattered. There was unsurprisingly a heavy bias towards the college sector among participants, and other representation from CLD, EIS, GTCS, four universities, two local authorities Education Scotland and one youth organisation. The format was quick and snappy – using the Petcha Kucha format. I think this makes people talk very fast and the continuous rolling slideshow can be distracting when it adheres to the 4s per slide limit and gets out of synch with what presenters are saying. I prefer teachmeet format with no powerpoint and 2 or 7 minute presentations, but it certainly is great for keeping things moving along. The presentations were varied and each addressed different aspects of the impact of poverty in education. Highlights for me were Alistair Wilson of Strathclyde University talking about his study of mentoring young people in areas of high deprivation to support widening access to universities. Findings suggest young people’s social networks play a big part in improving access for them, and mentors can help to build their social capital to help them develop their social networks. This is maybe obvious but providing the mentoring is the key here and that’s what this project did. If you go to fee-paying schools you get advice like this , dedicated tutors to help you with your personal statement alone as well as all the benefits your social and cultural capital will bring you. Little surprise then that without such support there hasn’t been one young person emerge from one named north-east Glasgow secondary school to become a doctor in over 30 years. This school will no doubt be just as teeming with intelligent and capable young people as many others- what an indictment of inequity in our system and Alistair reckons it will be exactly the same in another 30 years unless we do something to change it. Other interesting data were shared by the the EIS on detailed aspects of poverty manifestations in schools; the CELCIS team on the difficulties and vulnerabilities of looked after children and approaches to helping their attainment by participative approaches; Stuart Hall (Robert Owen Centre at Glasgow University) from his Families First in Renfrewshire project and Stephen McKinney (Glasgow University) spoke about global issues concerning poverty and education – forcibly displaced children; the fine lines between children’s work, child labour and slavery and the invisible spectre of human trafficking. All of this demonstrated the persistence and pervasiveness of poverty in education and that we actually have a wealth of data on this issue. Collaborative working across agencies and different sectors via networks such as this one will provide a way to make sense of this data and communicate some approaches towards tackling it – but I’m left pondering as usual that it’s not just up to schools, teachers and other educators to solve this problem, and are more studies the answer? Novice researcher encounters journal ranking: how does it work? Last week I took part in a seminar with colleagues in the School of Social Sciences where we discussed the PhD experience; getting published; post-doc employment and what we should be doing while we’re also doing our PhDs to support our applications for when we finish. (I posted about that in our Google+ online community so sorry if you’ve already heard about this). 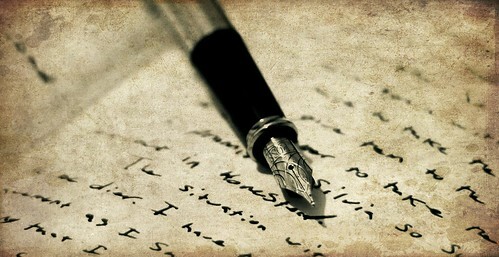 The discussion on getting published was interesting. The expectations on achieving this seem to vary a bit between the two schools but there does seem to be a common acceptance that it’s a really good thing to do, in fact it’s looking more and more like it’s an essential thing to do. That’s fine but to the novice researcher some important questions about it can induce a rush of panic, notably what to publish and where to publish. Dealing with “what” first – that’s the easy bit. I’ve revisited my M.Ed data with my previous supervisor and we have one co-authored paper in press, another one submitted and a third one in the pipeline. This is obviously one approach. There’s lots of ways to go about identifying what to publish. You might have a methodological innovation that could form the basis of a paper, or perhaps some aspect of your literature review that might be able to stand alone as a paper with some re-working. And this is before you get to your data. Again, picking out just one aspect or feature of your data might allow you to open up a new set of questions which you can work into a paper. This is what we did with my data from a very small study – there was more mileage in it that you’d first imagine. So how do you decide where you’re going to try to get it published? That’s perhaps a more difficult question and we spent a bit of time discussing this last week but not enough. Because journals are ranked by their “impact factor” there is an order of preference for where you might want to get published. Schools and departments are looking for publications in the four star high-ranking international journals with good “impact ratings” and citation indices. This gives good Research Excellence ratings. You clearly don’t want to get published in open access journals. Or ones that invite you to submit your work to a dubious sounding spammy email address. That seems obvious, but how do we know which are the high ranking ones? How exactly is the ranking calculated? How are any biases in the process accounted for? Would it be more realistic for PhD students to aim for “mid-range” journals rather than the high ranking ones to get their publication rates off the starting blocks? If so, how do we know which journals are “mid-range” and would they be happy about being identified as such? All of this has to be navigated before we even start dealing with feedback, rejection and if you’re lucky, extensive pinging back and forth whilst amendments are made. At the session last week one of the speakers mentioned an online way of checking journal rankings. I didn’t have much luck trying to search under the terms he gave but I have come across a few interesting links while searching in various combinations of the terms “Education research journal rankings/ratings.” One of the sites this search offered was Science watch – it seems to be an index of educational research journals, but there also seems to be a science orientation here. That’s fine but not exactly what I was looking for and I still don’t really know how the impact factor is calculated or what it means. I felt I might be getting a bit closer with the Australian Teacher Education Association but it ranks the Asian-Pacific Journal of Teacher Education second – is this because it really is excellent or is it because the list concerns itself mostly with southern hemisphere publications? I feel I could do with a bit of help and guidance here so if there are any publications-savvy experienced colleagues reading this please comment. Meanwhile I’m just trying to make progress with my study and feeling lucky about getting papers published in journals that I’ve read, that accept my work and there are authors names I recognise. For an early-stage researcher I don’t think that’s too bad, four star or no star, but I still can’t find out how this particular journal is rated if indeed it is at all. post script: a few helpful colleagues have shared some useful links on this with me.